Ostara by Johannes Gehrts (public domain) Goddess or Myth? I’ve spent six months now actively pursuing a reconstructionist-style paganism, and it’s been both interesting and enlightening. I did it because I’ve always felt strong ties to my Scandinavian heritage, I love history and research, and I was growing a little tired of wandering through general paganism (not that there’s anything wrong with doing that, I just felt the need for something more specific). For those unfamiliar with reconstructionist paganism, it’s based on the idea that pre-Conversion faiths have merit. For example, the belief that Native American faiths are/were just as valid as the Catholic faith the missionaries attempted to convert the American natives to could start someone on a path of pursuing a reconstructed, say, Inca faith. Reconstructionists strive to understand and recreate the religious workings of a particular culture whose faith was, through ways fair or foul, changed. We gather information using first and second hand accounts and the latest archaeological evidence, and then implement as best we can (taking into account modern lifestyles, of course!). It takes a lot of reading, a lot of research, a lot of analysis, and then, just like any other belief system, it requires a leap of faith that the way you’re putting your homework together will resonate with the divine. So far, I love it. For me it brings a closeness with a part of my history that resonates very deeply. Plus, the values of the Teutons (Germanic and Nordic peoples), like loyalty, honesty, courage, and self reliance,* are ideals I already held dear, but challenge me to grow as a person (kindness and hope come more naturally to me than courage and diligence). It’s also interesting to discover commonalities across ancient faiths world-wide, from the Americas to Europe to Asia, but that’s another post! On the other hand, resurrecting a faith that’s been dormant for centuries has its challenges, and the holiday of Ostara is a perfect example of this. Ostara is one of two holidays Wicca (which is not reconstructionist) borrows from heathenry (Yule is the other one). 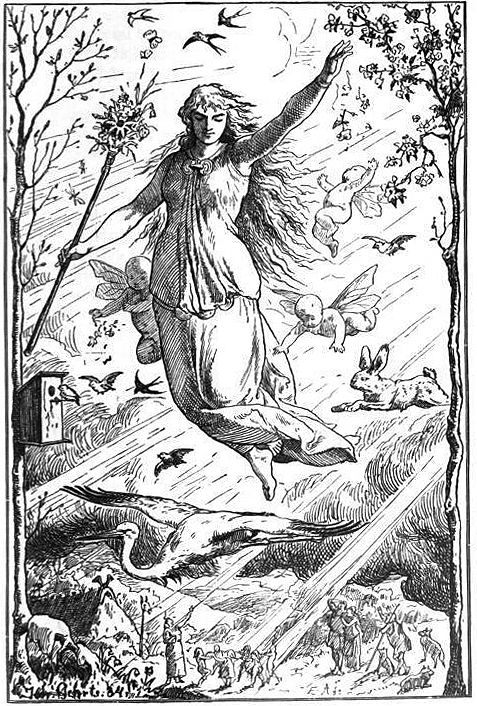 If you do a cursory search on the ‘net it’s easy to find information on the spring equinox celebration of Eostre (in Anglo-Saxon, called Ostara in German), shining goddess of the East whose symbols are the egg and the hare and from whom we get the name of the Christian holiday Easter. The Teutonic people only recognized two seasons, summer and winter (kinda like in Texas we only have two seasons: summer and not quite summer). Winter started in late September and summer started in March/April, so it’s possible this passage is referring to an Ostara-time-frame celebration (though Bede implies it would occur in April, not at the equinox, and the passage from Snorri is set “after Easter” which would also mean after the equinox). But above and beyond that, agricultural societies built their holidays around the changing seasons (plus it’s fracking cold in Scandinavia), so it’s more than reasonable to assume they did in fact have a “welcome back summer” holiday. And Bede called it Eostre. And in the end, reconstructionism is about gathering as many facts as you can and then forming a logical conclusion (until new facts come to light!). 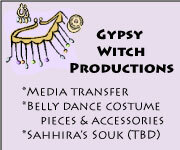 It’s an interesting thing being a part of a group that’s trying to, quite literally, bring the dead to life. Most reconstructionists I know realize we’re never going to get it “right” – but we also know there is no such thing as a static faith. Christianity, Islam, Hinduism – no faith is the same now as it was 1,000 years ago, and this is a good thing. Humanity continues to change its understanding of the universe, and we the faithful need to shift with it. But for us reconstructionists, learning from the past is an important part of making sense of the present. For our part, the Pagan Princesses will observe a reconstructed Ostara, and we will greet the spring with a feast! * This isn’t to say other religions don’t recognize these values as well, but each religion does have their “focus values,” the ones they hold “more dear” than others. For example, traditional Christianity has the Theological Virtues of faith, hope, and charity and the Seven Heavenly Virtues of chastity, temperance, charity, diligence, patience, kindness, and humility. Whereas the Nine Noble Virtues of modern Ásatrú are typically recognized as courage, truth, honor, fidelity, discipline, hospitality, self reliance, industriousness, and perseverance. It’s not that Ásatrú doesn’t recognize charity and kindness as good things, or that Christianity doesn’t recognize courage and self reliance as good things, but the stories each faith tells are weighed more heavily towards their core virtues. Another way of looking at it… Most Christians I know don’t consider hospitality towards guests as a religious duty but as a socially conscious value. Whereas for heathens, it’s a religious imperative. On the other hand, most pagans I know see temperance as a healthier lifestyle, but we don’t think it’s a “sin”to be intemperate or believe the gods care about our indulgences or lack thereof like Christians (traditionally) do. ** Heathenry, the paganism that worshipped Odin, Thor, Freyja, etc., at one time stretched from Eastern Europe to France, and from Northern Italy to Scandinavia, as well as parts of England (and there’s some evidence it was practiced in parts of Ireland). Bede is specifically writing about Anglo-Saxon, or southern English, heathenry, as that’s where he was from. Just wondering, what will y’all be sacrificing at your feast? Since you just celebrated a decade anniversary I’m not too worried, but maybe The Scott should take a guys night out, just to be on the safe side? One item that often comes up as an argument against Paganism, particularly Recon Paganism, is sacrifice (usually animal, but occasionally human). First off, it should go without saying (but I’ll say it anyway): modern pagans DO NOT perform human sacrifice. Yes, ancient cultures all over the globe did at one time do this (although there is evidence that the frequency and gruesome details are often exaggerated by history; yes, some cultures, like the Aztecs, did have the ritual removal of the heart fiction loves to send up in grisly detail, but other culture’s “human sacrifice” looked more like “praying before we hang convicted criminals”… but that’s another topic – or maybe a really gruesome post 🙂 ). However, just like the Christian church got past its “Hey, let’s torture heretics and set them on fire for God!” phase, Paganism, too, got over its human sacrifice phase. Animal sacrifice I always thought was truly creepy, even back when I was a Christian and read about the Jews sacrificing animals in the Old Testament. Animal sacrifice is nigh ubiquitous in ancient human culture. Eww! They killed animals! There was BLOOD! AND PEOPLE WATCHED!! EWWWWW! Okay, I totally thought that, too, until my Latin II instructor in college joked that we were going to sacrifice a steer ancient Roman style as a class project, the whole class freaked, and he laughed and said, i.e. we’re going to have a class barbecue. A class barbecue? How can he possibly compare the slaughtering, roasting, and eating of innocent animals in the name of pagan gods to the… slaughtering, roasting, and eating of animals in the name of Budweiser and the Fourth of July that goes on today. Compared to that, if your concern is for the animals, they were a lot better off as the centerpiece of a pagan sacrifice, where they were pasture raised, decorated with flowers, and then killed quickly, than your typical Thanksgiving turkey is today. Now GG and I, not being professionally trained in humane animal slaughtering, will let somebody else do the actual killing of our food (though I will try to avoid factory farmed animals which buying for our meal!). And like my pagan forefathers, as I prepare our food I will thank the animals for providing for us, and when we eat GG and I will thank the gods for the good food and awesome fellowship we are blessed with. Because that, in my opinion (though you will find others) is the real point of animal sacrifice – community fellowship and a shared meal dedicated to each other and to the divine in gratitude and joy. Wow! Thanks. I was fairly sure your were not going to butcher any animals on an alter, but I do enjoy reading you when you’re passionate about the subject, can’t wait for the really gruesome post. And T.K., drink an extra beer for me! Go on with your bad geek self, darlin’. 😉 Tell it! T.K., I was never really *that* worried. Tasty tasty sacrifice. Though we did have a cooking fail last week. TheScott+Jax = not so tasty rabbit. Hmmm….more than made up for by the Ostara feast and the 22 ish pounds of pork belly being cured into homemade bacon. The Scott, I think you’ll be fine since Jax is not professionally trained in slaughtering! The secret to tasty rabbit is habit. No, seriously. You have to prepare it more often than the occasional feast. So, it was you guys that raised my worth in pork bellies. Thanks! And from now on I’m only investing in non-factory farm porkbelly.